Should you be searching for a new signature scent, or a Valentine’s Day gift to surpass all others, look no further than Jusbox Perfume’s brand-new Feather Supreme Eau de parfum. Inspired by Aretha Franklin, one of the most influential and powerful female voices that ever was, Jusbox’s Feather Supreme eau de parfum creates a beautifully feminine yet dominant aroma that commands unspoken acknowledgement and admiration from all who breathe in this ethereal scent. Created by Dominique Ropion, the soulful perfume unveils its top notes of mandarin, bergamot and apple. This melodic trio paves the way to delicately unravel a heart of exquisite rose, ylang-ylang, jasmine and tuberose. The iridescent scent is gently kissed by a base of patchouli heart, labdanum and musk, thus conjuring the soft majesty of a feather as it falls to earth. This soul-inspiring, thought-evoking and incredibly beautiful perfume is the ultimate scent to wear for an empowered 2018. Fruk loves this! 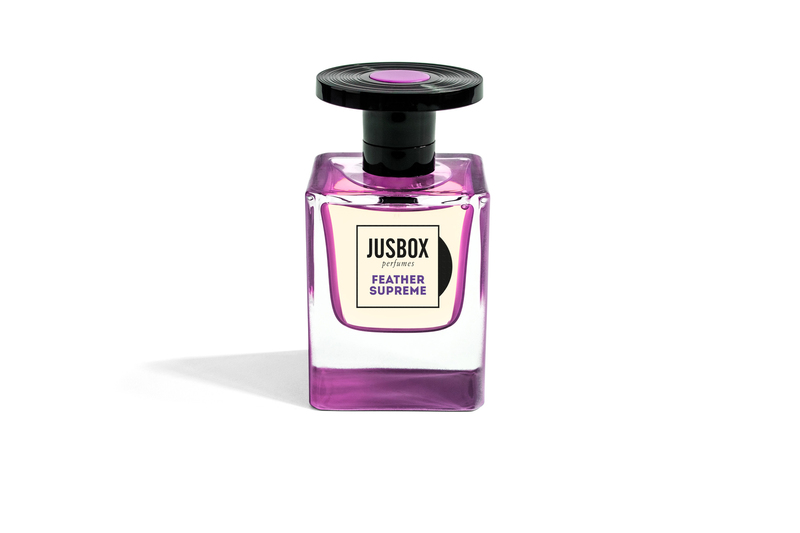 Jusbox Perfume Feather Supreme is priced at £140 (78ml). To view and buy this outstanding aroma click here. Alternatively, you can purchase Jusbox Perfumes exclusively in the Selfridges store, London.